Home » Windows » We answer: What is disk image and how to use it? 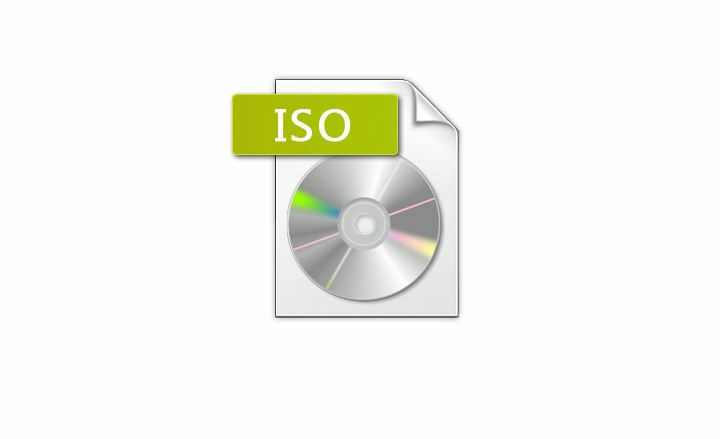 You’ve probably heard a term disk image, or ISO image file before. These types of files gained a lot of popularity due to their simplicity, so today we’re going to explain to you what are image files and how to use them on Windows 10. 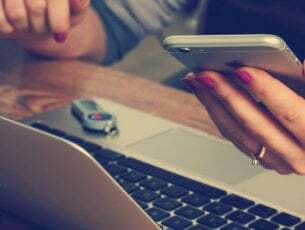 What is disk image file and how does it work? Disk image is a type of file that is an exact copy of a certain disk. For example, disk image is usually a copy of a certain optical media, but you can also create a disk image from your hard drive or from a USB flash drive. We have to mention that disk image is a perfect copy of a certain optical media, therefore it will have all of its properties. Disk images have a long history, and they were used way back in 1960s for backup and disk cloning. Back then users used them to clone mainframe disk media to a magnetic tape. Over the years disk images became more popular, and they gained massive popularity during the era of floppy disks. As previously mentioned, image file is a perfect copy of any optical media, and you can store that image file on your computer’s hard drive. Many people tend to use disk images simply because they are easy to use and because they provide extra convenience. One of the main reasons why people use disk images is to prevent their optical discs from wearing out. For example, if you’re frequently watching a certain movie or listening to your favorite album on a CD, it’s possible that your disc might become worn out after same time. This means that eventually you won’t be able to read any files that are stored on that optical media. Some users prefer using disk images because it’s simpler and faster to use them than a regular optical media. If you want to use certain optical media you have to find it, open its case, open your disk drive and insert your media. With disk images there are no such problems, and all that you have to do is to find an image file, click it, and it will become available to access, just as if you inserted a real disc in the optical drive. Besides convenience, we have to mention that you can read an image file faster than an optical disc since hard drives have a fast reading speed. In addition to speed, you won’t have to worry about any physical damage, such as scratches, than can happen to your optical discs. Disk image files are available in many different formats, and while some formats are universal, some are related to the software that is used to create the disk image. Most common format is .iso, but there are also several others. For example .bin and .cue files are disk image files, and one of these files contains the exact copy of the disk, while the other file contains the information regarding the data structure of the original disk. There’s also .mdf and .mds files, and they work similarly to .bin and .cue files. The .mdf file stores the disk image while the track information is stored in .mds file. Lastly, there’s a .nrg files, and this file format is related to disk image files created with Nero software. If you have an optical disk that you want to copy to your hard drive, you can easily do it by using one of the many third-party applications. Windows doesn’t have the native support for creating disk images, so if you want to create a disk image you need to use one of the many third-party applications. Bear in mind that you can only copy unprotected discs. After you create a disk image, you can keep it on your hard drive, or you can burn it to a different optical media. Locate the .iso file that you want to use. Double click the file. Alternatively you can right click the file and choose Mount from the menu. After the disk image is mounted you should see a new disk available in This PC. You can now access the disk, view available files, and use the disk image as if it was a real CD or DVD. Locate the drive where the image file is mounted. 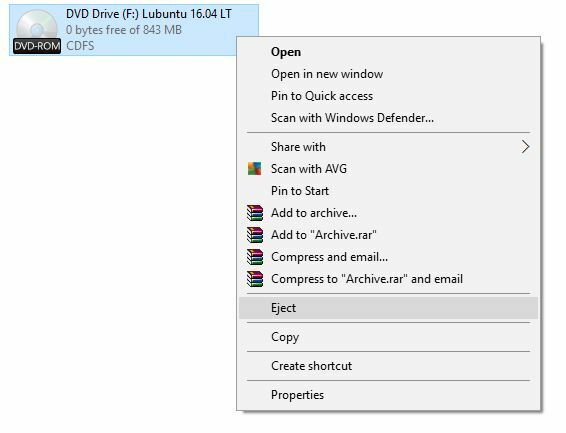 Right click the drive and choose Eject from the menu. The DVD drive will now disappear from This PC meaning that you’ve successfully unmounted a disk image. Find the image file that you want to burn. Right click the image file and choose Burn disc image. 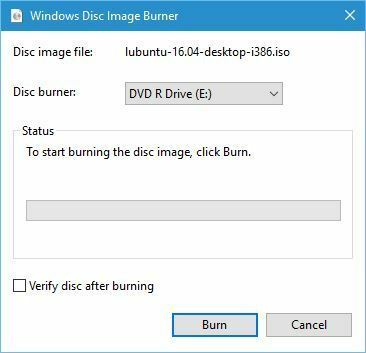 Windows Disc Image Burner will now open. Now you just need to select the drive that you wish to use, insert a blank DVD or CD into it and click the Burn button. 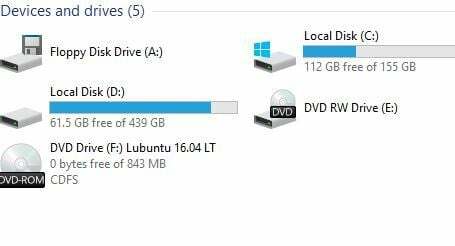 As you can see, disk image files are quite useful and even major software companies are using them for distribution of their software. 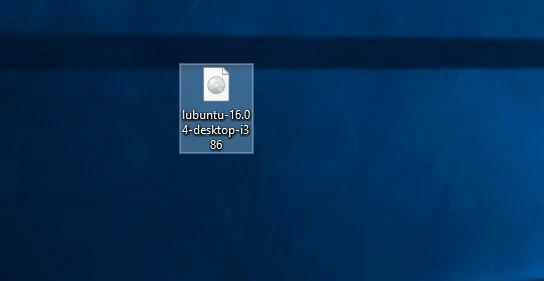 Linux community has been using disk image files for distribution for years, and even Microsoft allows you to download Windows 10 ISO file by using Media Creation Tool. By using disk image files companies can directly distribute their software to the users without the need for shipping, packing or burning the software first. As we already mentioned, by using disk image files you can also preserve your optical discs because you won’t be using your optical drive to read them. In addition, you can easily store an entire DVD collection on your hard drive and quickly access any DVD that you want. In fact, you can even store the collection on a portable hard drive or USB flash drive and carry it with you at all times. 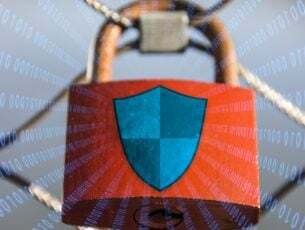 Disk image files are simple to use and quite practical, so it’s no wonder that millions of users and several major companies use them. One thing is for certain, disk image files are here to stay, so now it might be the perfect time for you to start using them.